Emmy Kosgei and tycoon husband Apostle Anselm Madubuko are celebrating 4 years of marriage. 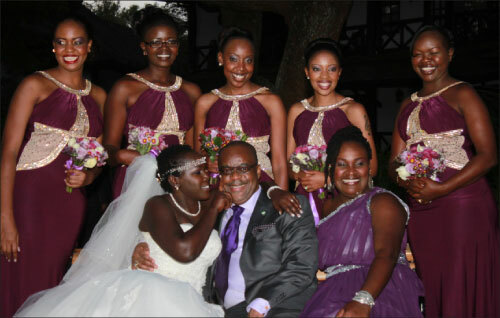 On 31st August 2013, Kosgei walked down the aisle to the love of her life, who is a Nigerian preacher and since then, the two have been showing off their love life on social media as they enjoy wedded bliss. Their traditional wedding was one of the most expensive ones ever experienced in Kenya which was then followed by a white wedding in Nigeria.